Ever wanted to build a roller coaster in your home, but lacked the millions of dollars, hundreds of acres of land and supportive partner you would invariably need to achieve your dream? 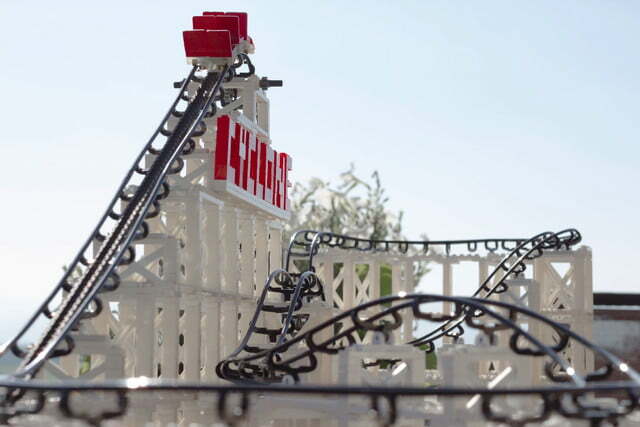 If so, you may be interested in a new Kickstarter project, which promises to bring coaster fans the most realistic, physics-accurate miniature roller coaster kit yet, compatible with regular Lego blocks. 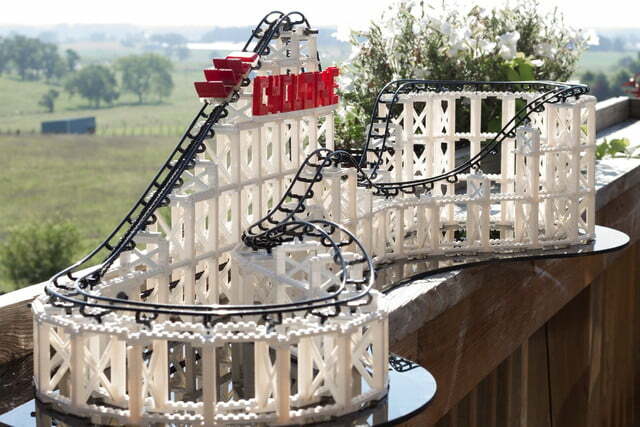 The creation is the work of Jack Rimer and Michael Graham, who together make up the company CoasterDynamix. 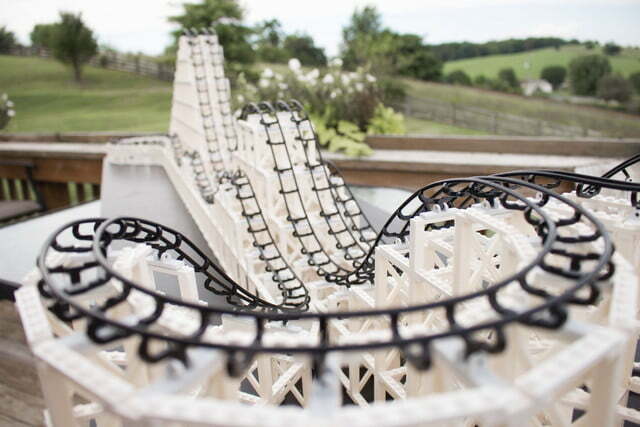 In their regular working lives, Rimer, Graham and engineer Dan Linden create mini roller coasters as prototypes for theme parks wanting to show off their latest attraction. This necessitates making model coasters which act like their larger life-size counterparts. That same philosophy was at the forefront of their minds when they came to build their current Cyclone Kickstarter kit. They should know: Graham is a real coaster engineer. 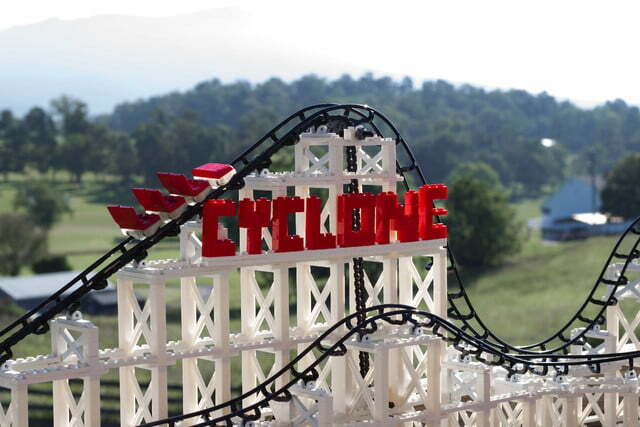 The Cyclone kit comes with more than 1,000 individual pieces, including both standard and custom bricks, lift chain, gears, hand crank, track, and a train. 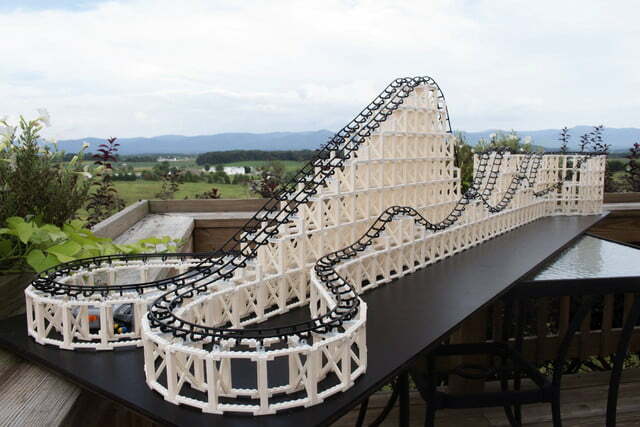 Put these together — which you do in any formation you can dream up — and you have everything you need to build a four-foot long working roller coaster model. 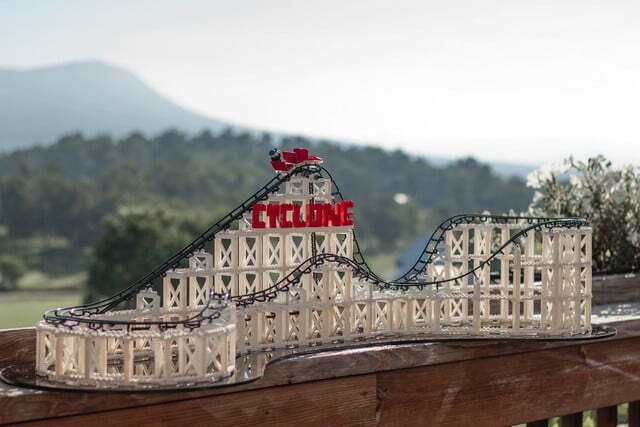 Because it is compatible with Lego bricks, you can even theme it using existing Lego sets, which means a pirate or sci-fi coaster can be easily achieved. In all, it is an exciting project — and worth checking out if the idea appeals to you. A Cyclone kit pledge on Kickstarter will set you back $149, but multiples come with some sizeable discounts. After that, it is just a matter of building. Best thing of all? No queues.